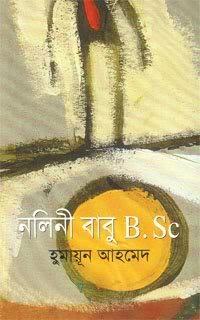 Nalini Babu B.sc by Humayun Ahmed is a great funny book of Humayun Ahmed. In this book, Humayun Ahmed wrote about a person whose name is Nalini Babu and he is a teacher. Nalini Babu is a funny guy and he likes to see all of the writers. Once time, Nalini Babu was going to see Humayun Ahmed at his house. Nalini Babu was an old man. There is a reason for seeing of Humayun Ahmed and the reason is that Nalini Babu read only one book of any writer. So, He is also reading one book by Humayun Ahmed and the name of this book is Misir Ali. Actually, Nalini Babu is a mental patient. He is sick with mentally. He came to Humayun Ahmed and told him his entire past story that was really amazing. At the last time of this book, Humayun Ahmed solved his entire problem as like Misir Ali. So, if you read this book, you will be pleased with knowing the story of Nalini Babu who is a graduate of B.sc and a teacher. If you want to download and read the Bangla novel book named Nalini Babu B.sc by Humayun Ahmed, You are requested to click here! Remarks: Humayun Ahmed Misir Ali Ebook, Best Bangla book of Humayun Ahmed, Humayun Ahmed ebook free download.